Author Jennifer Shirk's Me, My Muse and I: No Shave November! It's been a while, but I'm blogging over the Heart-Shaped Glasses Blog today. Why? 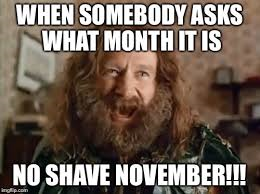 Well, because it's No Shave November!! Come see what celebrities I think look even BETTER with a beard.